The warning signal on a radar screen, that small mistake you don’t immediately notice. The tool slips, the material fights back, an unexpected and minor deviation. Sculpture is a combination of experiments, problems, and solutions. The process often leads into unfamiliar territory, jolting your intentions and forcing you to seek alternative routes. Japanese ceramicists use a technique known as Kintsugi or Kintsukori to repair broken pottery. Using a lacquer made with precious metals artisans reassemble the broken parts. Rather than attempt to hide the shattering of the object, the gold, silver or platinum lacquers trace the fault lines and bear witness to the object’s history. 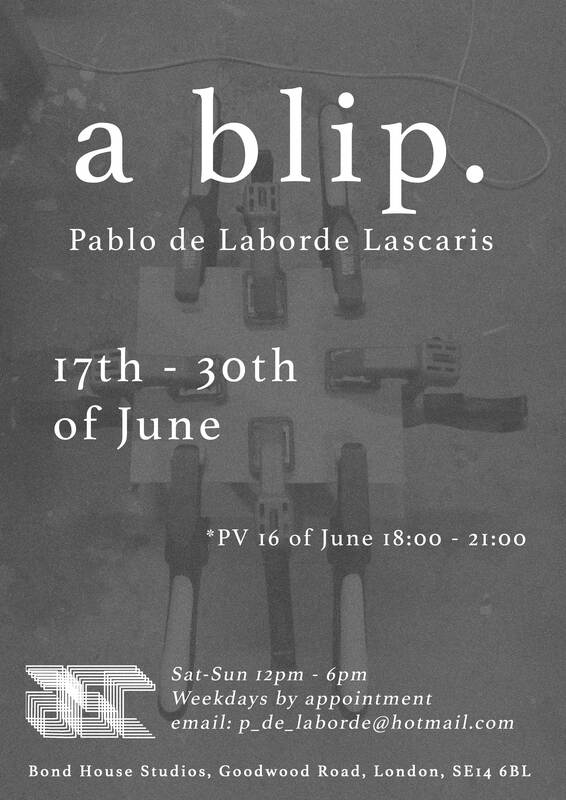 Wooden scientific instruments, tesla coils, pools of oil, components with unconventional shapes and inhuman geometry; Pablo’s handmade hybrids are suggestive of their industrial parentage, antiquated hi-tech infrastructure. At first glance his palette of materials seems to eschew the contemporary. The pieces ask us to reconsider functional forms from another era; ceramic capacitors, rivets and sails. Then you realise that what you thought was copper plate is meticulously applied sticky tape, and that expanding foam forms the heart of these objects whose functions are implied but somehow lost through their mutations. These hollowed-out forms speculate possible pasts that we can only recognize as shadows. 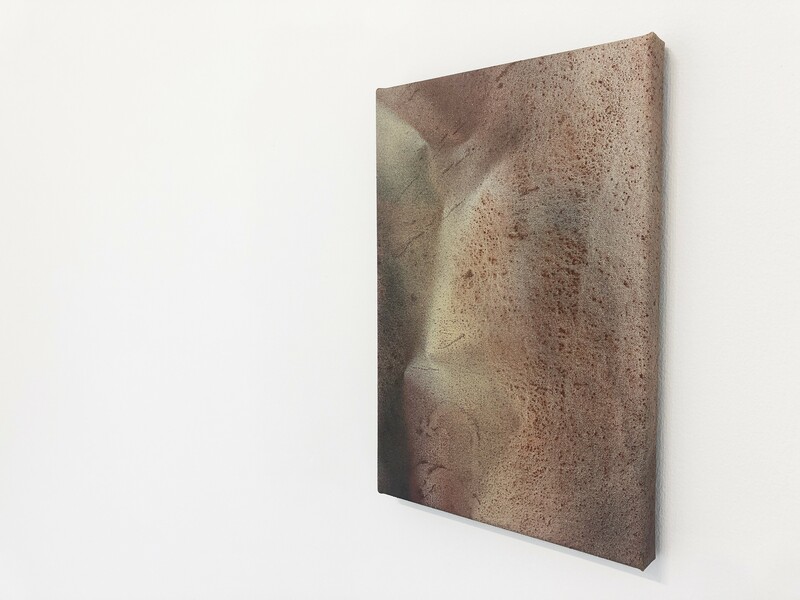 Pablo’s work is meticulous in its exploration; his processes seem baffling and slow. I ask myself – Why would you even think to make something that way? Until it dawns on me that simple solutions are often quite brutal in their efficiency. Pablo has no simple solutions up his sleeve, but fragile speculations and repetitive deviations. Maddening failure is printed in every process; here is the unbroken pot, rescued and remade. Here is a blip asserting itself, the ghost of the machine.